James is as an associate professor and enology extension specialist in the Food Science and Technology Department at Oregon State University and a member of the Oregon Wine Research Institute. 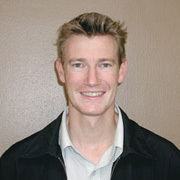 He received his Ph.D. from Washington State University in 2005 researching interactions between wine yeast and malolactic bacteria, after which he spent time in his native New Zealand working at the University of Auckland and Delegat’s Winery. His current research focuses on the impact of wine microorganisms such as lactic acid bacteria, Brettanomyces, and non-Saccharomyces yeast on wine quality. James is the statewide enology extension specialist for Oregon providing outreach programs for the Oregon wine industry. This includes the development of industry workshops and seminars to aid in the transfer of relevant research results to commercial application as well as technical workshops focused on various enology topics. In addition, James teaches undergraduate and graduate classes in support of the enology and viticulture program at Oregon State University.